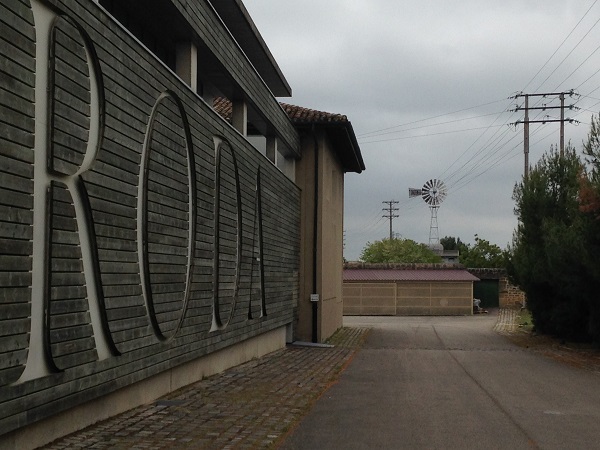 With a first vintage in 1992, Bodegas Roda were pioneers of the ‘modern’ Rioja style that emerged in that decade. Every aspect of their set-up epitomises this approach, from branding to bodega and of course the resulting wines. In fact, there is no better contrast than to visit ultra-traditionalists Tondonia, then walk 3 minutes up the road to Roda, directly next door in the Barrio district of Haro. One, old vats, cobwebs and long-aged, classic Riojas; the other a cool, clean, pristine, designer bodega with richly-oaked, modern Rioja wines. Utterly different, yet both producing good and great wines. Since rising to prominence in Rioja, mainly through their Roda Reserva and Roda I Reserva pair, followed by super-premium Cirsion bottling, the company has expanded into a Ribera del Duero line of wines: Corimbo from Bodegas La Horra. It also added the entry-level Sela to its Rioja range. 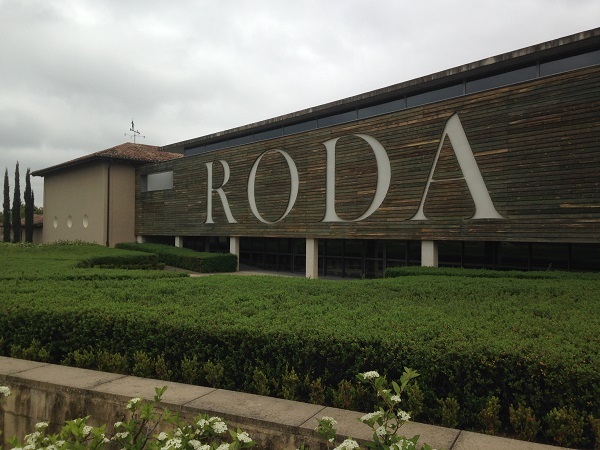 I have enjoyed a number of Roda wines, particularly Roda I, including their debut 1992, their fine 2001 and more recently their 2004 – though it is showing quite robust tannins at present, as I discovered at ProWein 2018. This short profile is primarily built around going to the bodega in 2014, which included a fair amount of technical depth given that it was ‘just a tourist visit’, and supplemented by my ProWein notes. Roda have access to 28 vineyard plots across 110km of the Rioja region, at 600-800m altitude. These are from 30 years of age, up to 75 years that typically goes into Cirsion and 90% Tempranillo, with the remainder Graciano and Garnacha. Green harvesting is applied to limit yields somewhat, to 5t / Ha vs 6.5t / Ha permitted for Rioja as a whole. From these 28 parcels, the best 17 plots are selected for the Roda range, and hand-harvested into 15kg crates. These are then transported to the bodega in Haro. Given the distances involved, SO2 is added in the vineyard to help preserve the fruit during transportation. As might be expected, bunches pass through a sorting table before being 100% destemmed and crushed. 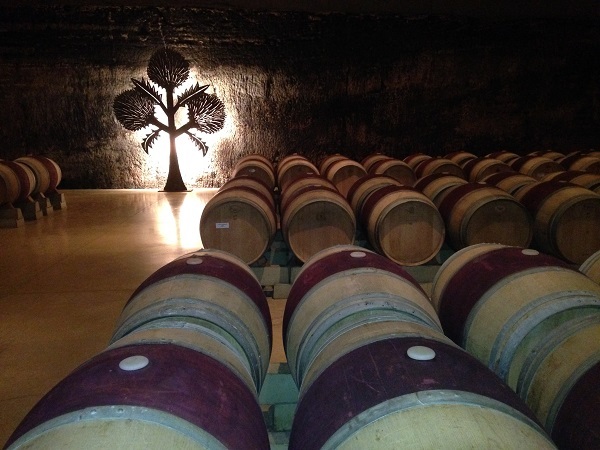 Each parcel is separately vinified in one of 17 20,000 and 10-12,000L closed French oak vats. Fermentation with natural yeast lasts 20-30 days, with 5 at 14-15°C, followed by the remainder controlled at 28°C, with twice-daily pumpovers. A week of maceration follows fermentation. 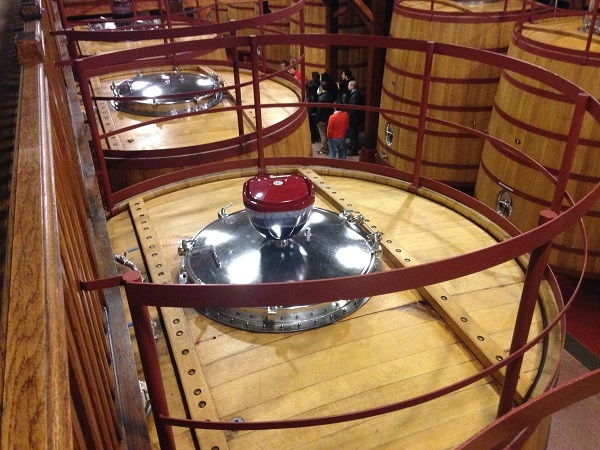 These 17 vats remain separated when the wine is transferred to barriques in the MLF room. Here, at 80% humidity, temperatures are controlled to 21°C and MLF takes place over a month (typically December) without inoculation. 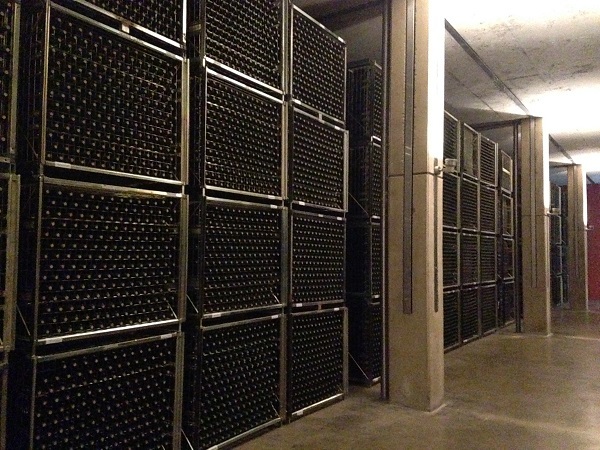 Once completed, the temperature is dropped to 4°C, to stabilise the wine. 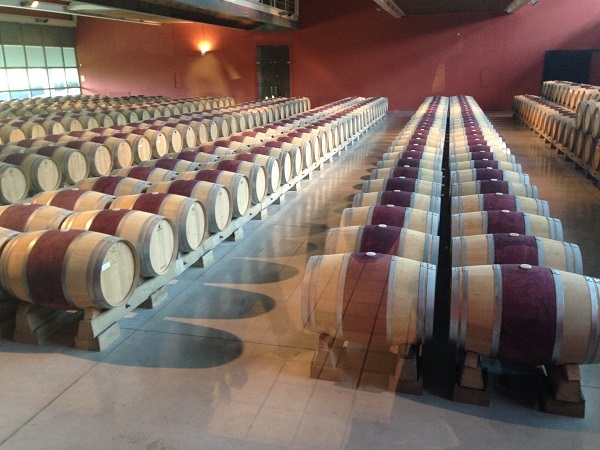 Both Roda and Roda I wines are designated Reserva, so all 17 plots – still separate – go to different French oak for 14-18 months’ maturation in Medium toast Allier barriques, which are replaced every 3 years. These are racked every 3 months, and samples of the 17 plots are analysed. Plots yielding red fruit profiles are designated for Roda Reserva; those with black fruit go to Roda I Reserva. These are then blended after maturation, in the original fermentation vats, then egg-white fined. After a 20-day rest, they are bottled, then bottle-matured for 2 years, to meet the Reserva requirements for 3 years’ total maturation in oak and bottle. Tasted at ProWein 2018. 95% Tempranillo, 5% Graciano. Tasted at the bodega in 2014. 15-30 year old vines. 95% Tempranillo, 5% Graciano. 14% ABV. Not designated as Crianza or above. Tasted at ProWein 2018. Some Garnacha and Graciano. Tasted at the bodega in 2014. 90% Tempranillo, 6% Graciano, 4% Garnacha. 13.5% ABV. N: Attractive, integrated cedar, fresh tobacco and dried red & black fruits. Some earthy, forest tertiary character. Toasty. 100% clean? Crete wines: the next Santorini?